Availability: The Horror Shop shades are only available in extremely limited quantities and have sold out very quickly in previous years, they will not be restocked. Each polish is shown in two coats with topcoat. The formula was fantastic on each, no issues to report. 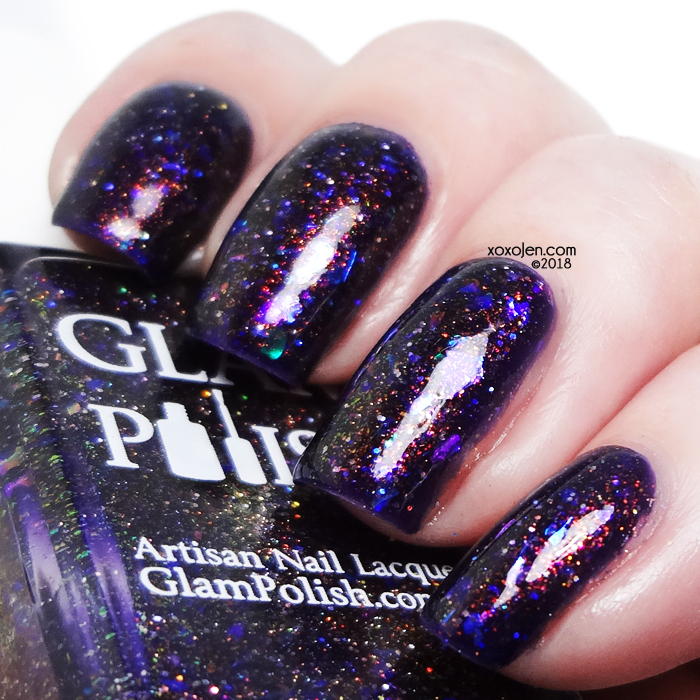 Dark Shadows - Dark Blue jelly with iridescent flakies and fine holo microglitter. 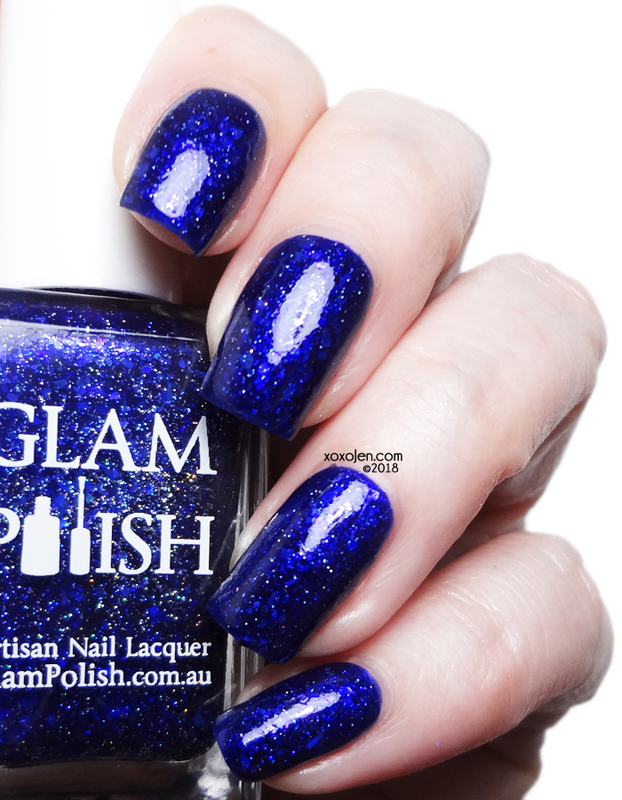 Beautifully squishy blue flake polish. Little Shop Of Horrors - Lime jelly with multichrome flakies, unicorn shimmer and ultra holo glitter. I love a good lime, and this is a great one! Paranormal Activity - Purple jelly with unicorn shimmer, iridescent flakies and ultra holo glitter. I wore this one for a few days and admired it while under the elevator lights. 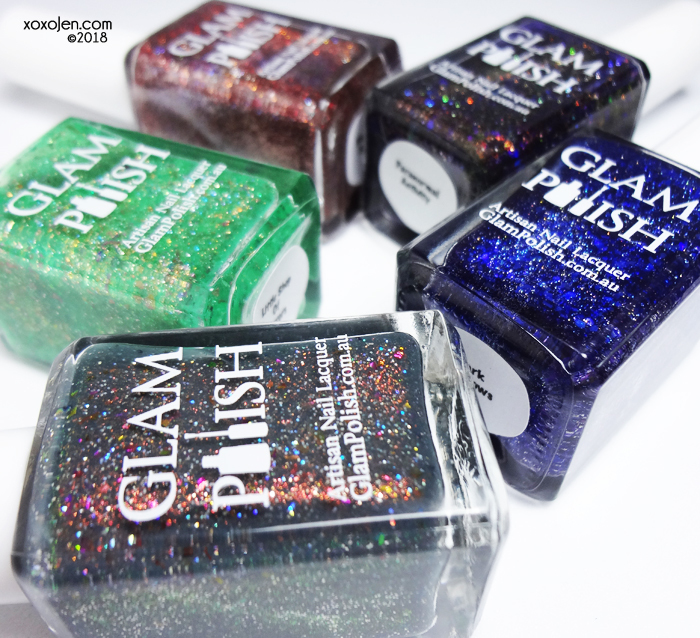 They do magical things to shifty and holo polishes! Try it sometime. The Walking Dead - Oxblood Red holo with ultra holo glitter. Surprisingly, I think this is my favorite from the five that I got to review. It is one of those colors that's perfect on all skin tones and under any lighting. 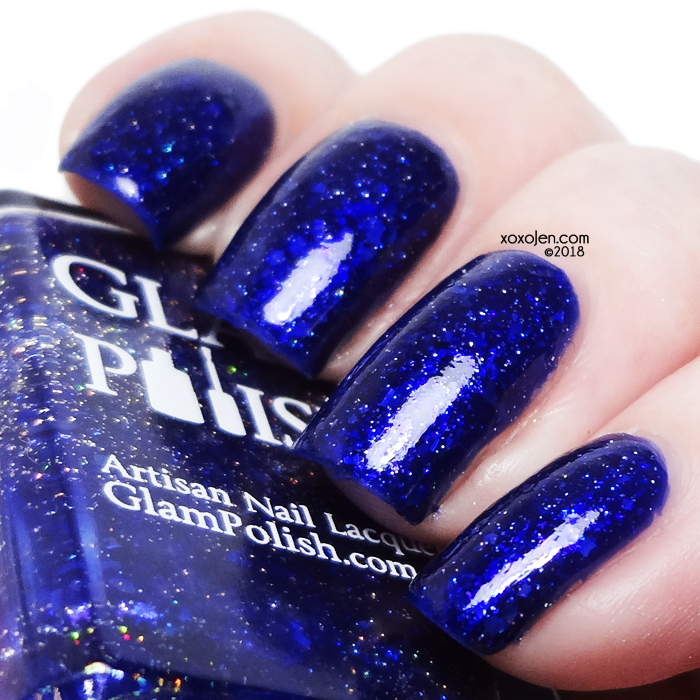 1, 2 Freddy’s Coming For You - Dark Blue-Gray crelly with unicorn shimmer, multichrome flakies and ultra holo glitter. My second favorite, I love a good grey with flake and t his one shifts! The Horror Shop shades are extremely limited and will not be restocked. Get them quickly! Be sure to check out the facebook fan group to see more shades, this is only five but there are 22 other polishes. The complete list is below. American Horror Story - Green-Blue-Purple multichrome with iridescent flakies and ultra holo glitter. Attack of The Jack-O’-Lanterns! - holo base with multichrome shimmer, multichrome flakies, holo glitter and metallic glitter mix. 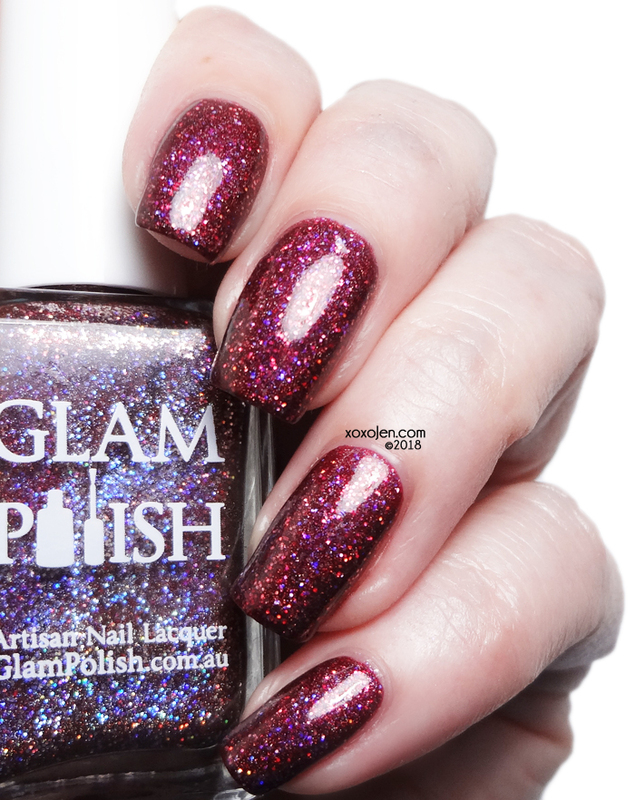 Bay Harbor Butcher - Dark Crimson jelly with iridescent flakies and ultra holo glitter. Bride of Frankenstein - Plum jelly with multichrome flakies, iridescent flakies and ultra holo glitter. Corpse Bride - Purple-Indigo-Red multichrome with holographic flakies. Curse of Chucky - Red holo with ultra holo glitter, holo flake and fine holo microglitter. 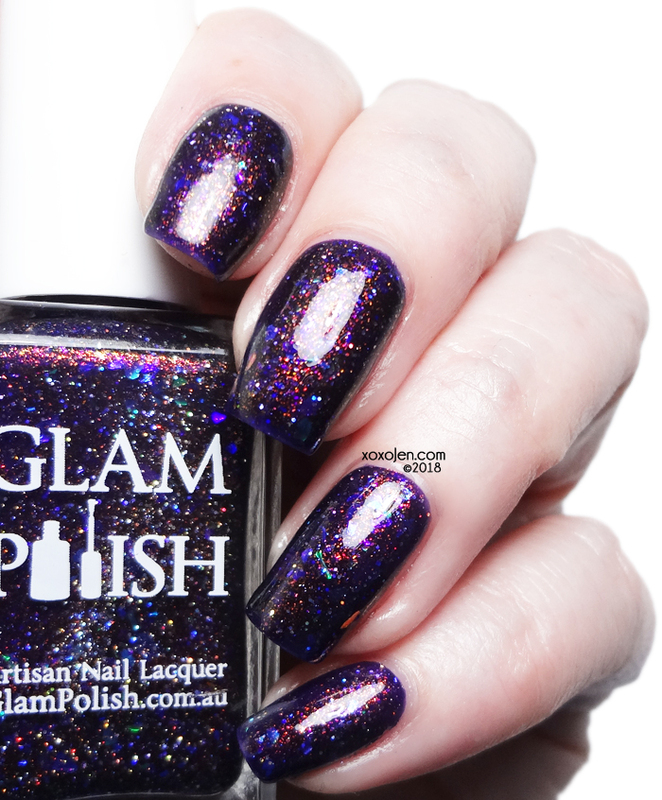 Donnie Darko - Indigo jelly with unicorn shimmer, iridescent glitter and fine holo microglitter. 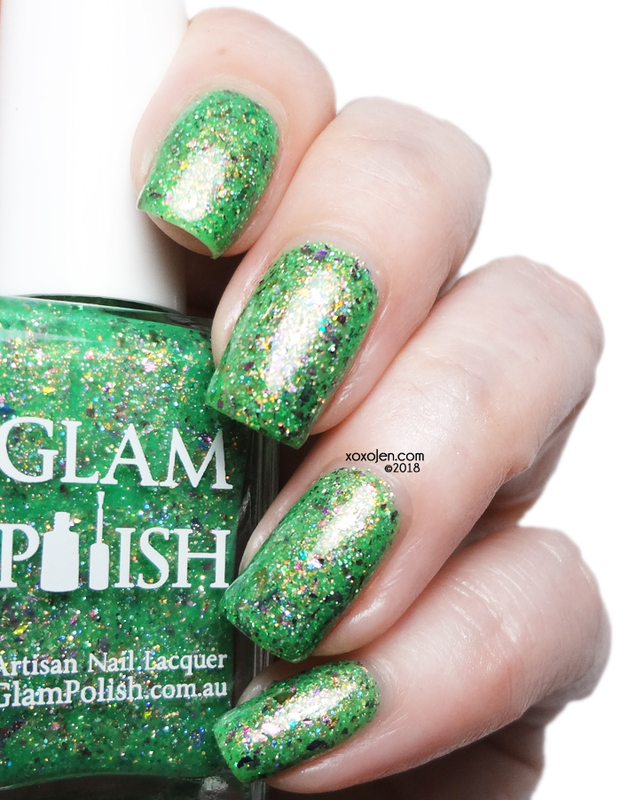 Ghoulish Delight - Chartreuse holo with ultra holo glitter. Hail To The Pumpkin King - Burnt Orange holo with ultra holo glitter. Handbook For The Recently Deceased - Purple jelly with unicorn shimmer, multichrome flakies and ultra holo glitter. Have A Killer Day - Multichrome holo with multichrome flakies and ultra holo glitter. Ice Truck Killer - Off White subtle holo crelly with multichrome flakies, shimmer and ultra holo glitter. IN SPACE NO ONE CAN EAT ICE CREAM - Blue-Red-Gold multichrome with iridescent flakies and ultra holo glitter. Living Dead Girl - Magenta-Gold-Green multichrome holo with ultra holo glitter. 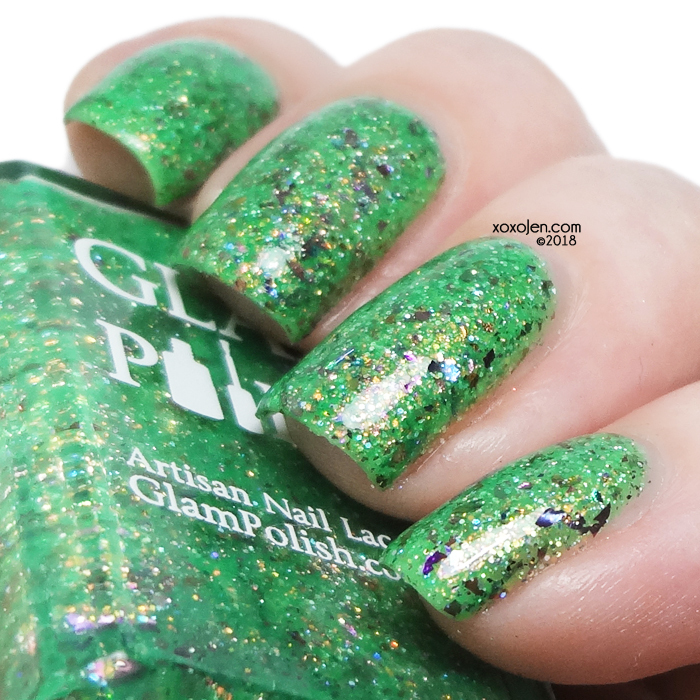 Mean Green Mother From Outer Space - Green jelly with iridescent glitter, flakies, unicorn shimmer and ultra holo glitter. 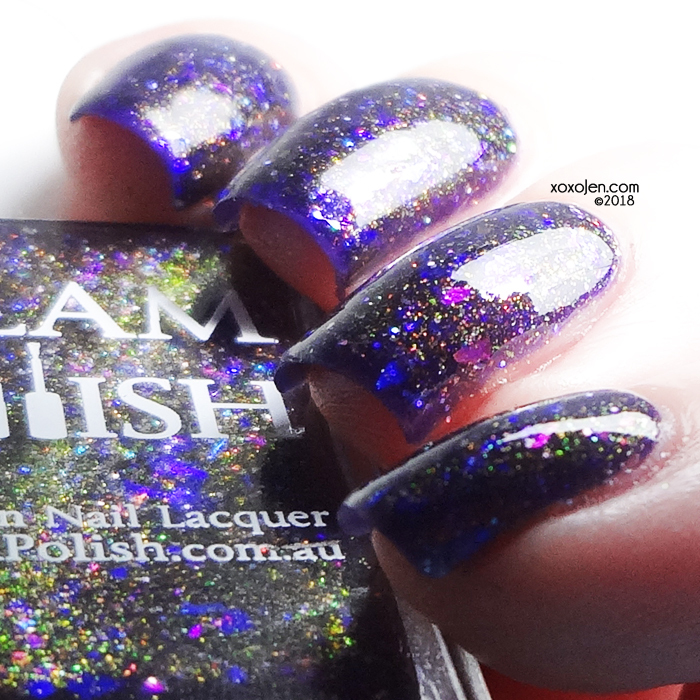 Poltergeist - Blue crelly with purple metallic glitter and fine holo microglitter. 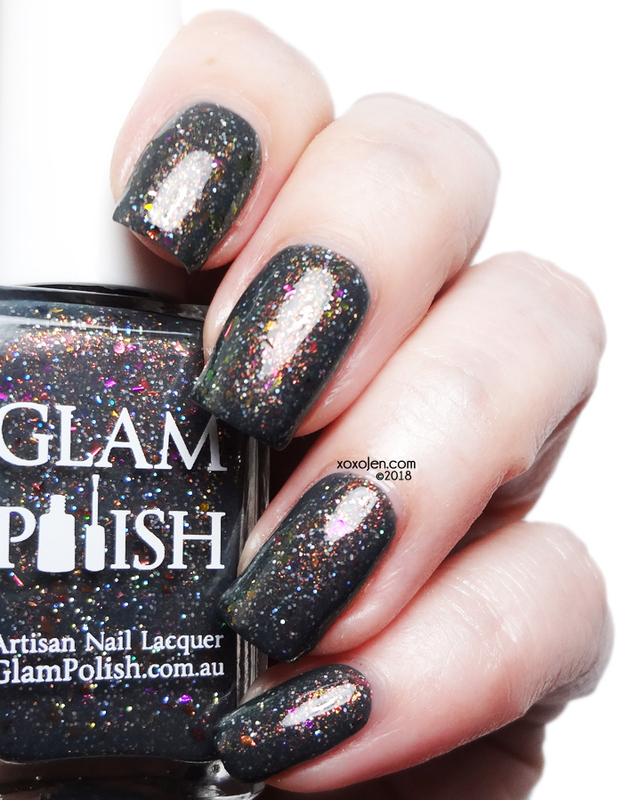 Silent Hill - Gray crelly with Purple metallic glitter, unicorn shimmer and ultra holo glitter. Stranger Things - Blue jelly with unicorn shimmer, flakies, holo and ultra holo glitter. 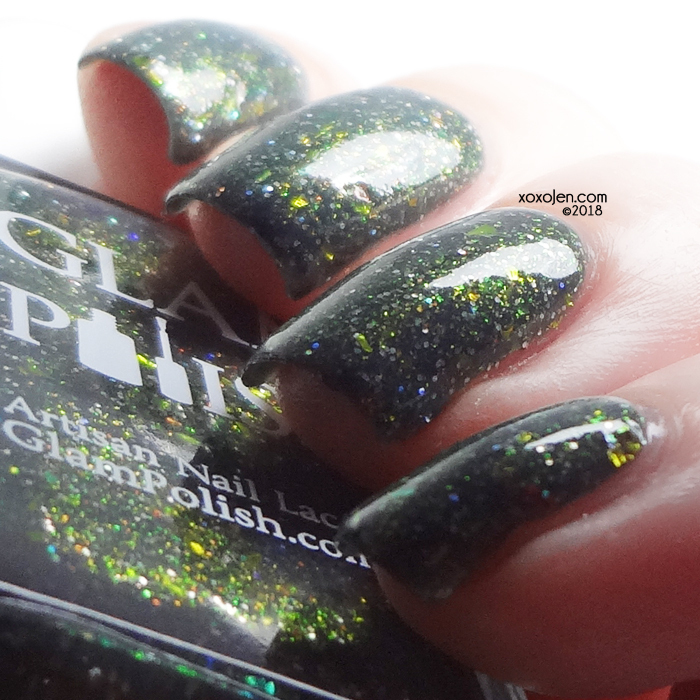 The Girl Who Cried Monster - Dark Teal jelly with iridescent glitter and fine holo microglitter. The Hills Have Eyes - Green-Blue-Gold multichrome with multichrome flakies, holo and ultra holo glitter. This is Halloween - Holo base with multichrome flakies, ultra holo glitter and fine holo microglitter. 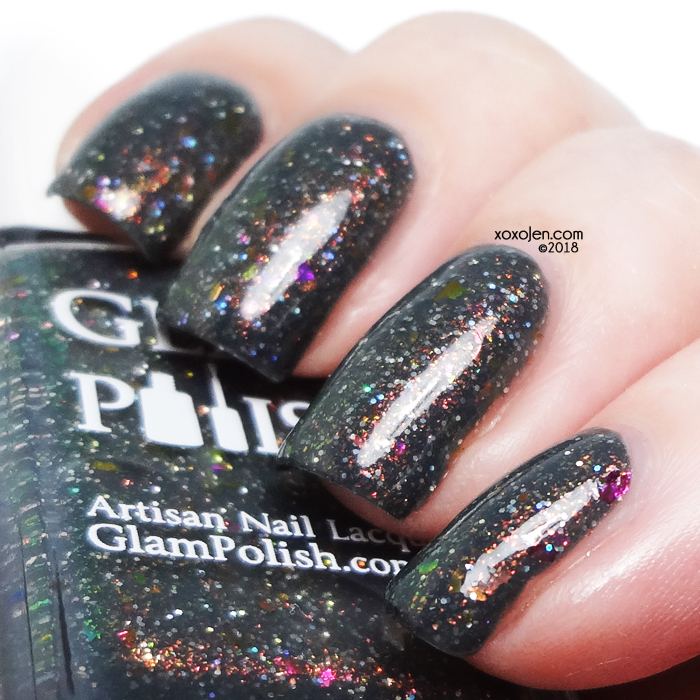 Zombieland - Gray crelly with multichrome shimmer and ultra holo glitter.